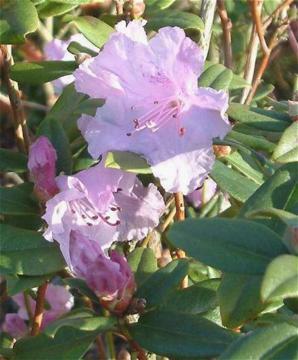 Attractive small evergreen shrub with leathery green leaves and funnel-shaped, pink-mauve flowers with darker spots inside. Free flowering very early in the season, late winter and early spring. Hybrid of R. dauricum x R. moupinense.